TONIGHT: JMG Reader Meetup At London's Duke Of Wellington Pub - Joe.My.God. 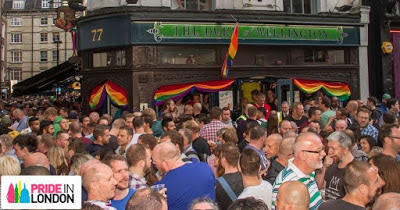 We won’t have the marriage ruling to celebrate tonight, but I’m sure we can find another reason or three to lift a few pints at the Duke Of Wellington pub in Soho. And the first three guys that come up to me and say “Obergefell” get a free JMG t-shirt. I’ll be there around 9PM providing I don’t get lost.